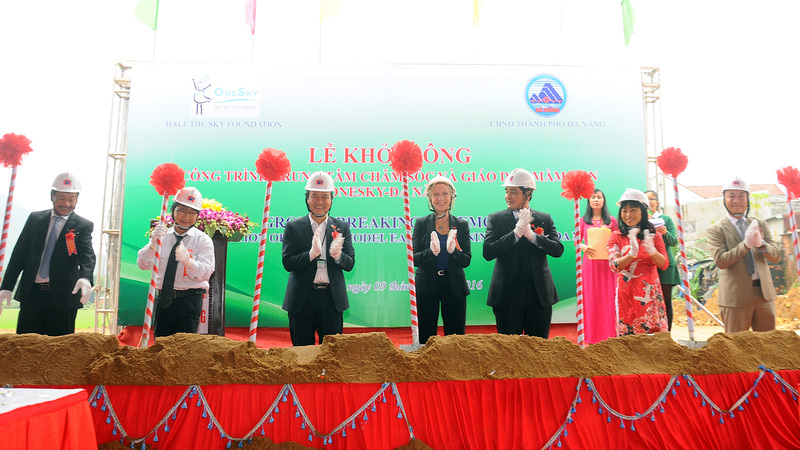 After a mere twelve months wending our way through the bureaucratic maze of a whole new country, OneSky proudly broke ground for its first OneSky Early Learning Center in Vietnam. 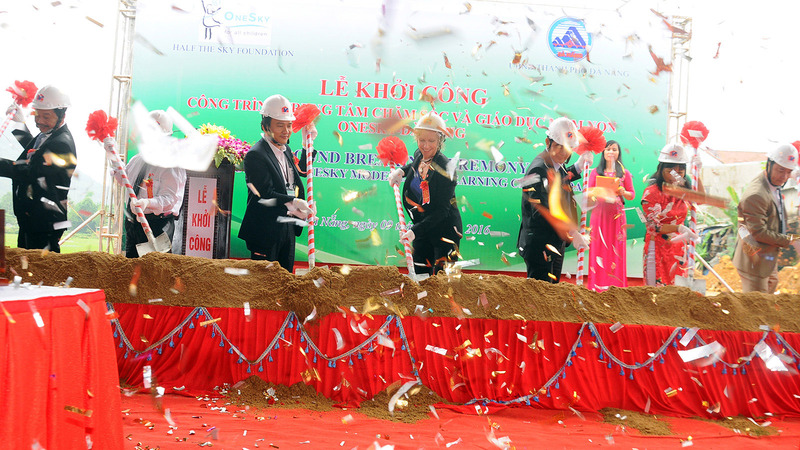 With TV cameras rolling, photographers snapping, and representatives of OneSky and the Vietnamese Department of Education all on hand, the ceremony took place in Da Nang on December 9, 2016. 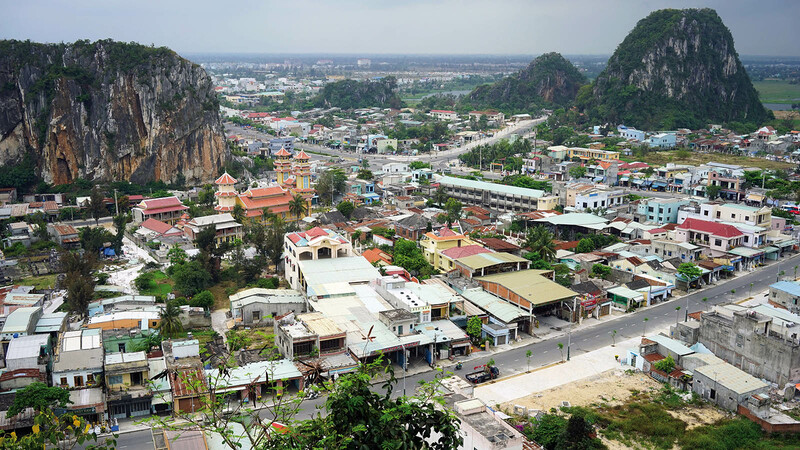 Da Nang, Vietnam’s third largest city, is home to the Hoa Khanh industrial park, a massive sprawling development, containing more than 200 factories. And when construction is completed on OneSky’s assigned bit of former farmland in September of 2017, it will be our home too. 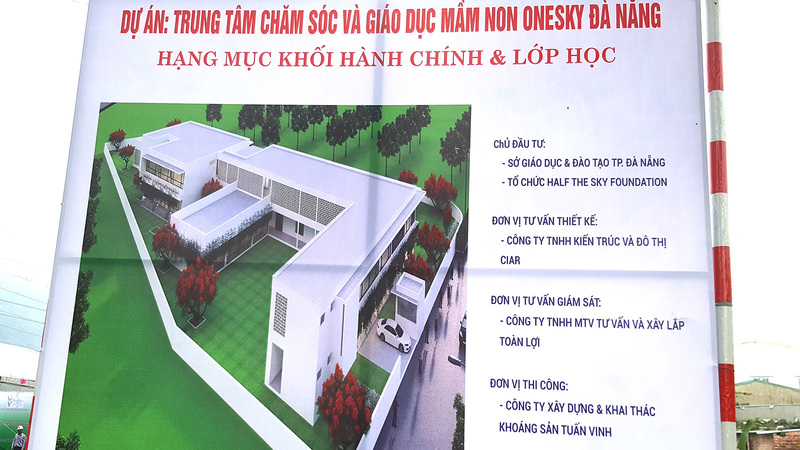 Hoa Khanh factories employ some 35,000 migrant workers, mostly women, who work long hours, six days a week, turning out clothing, electronics, and other export products. 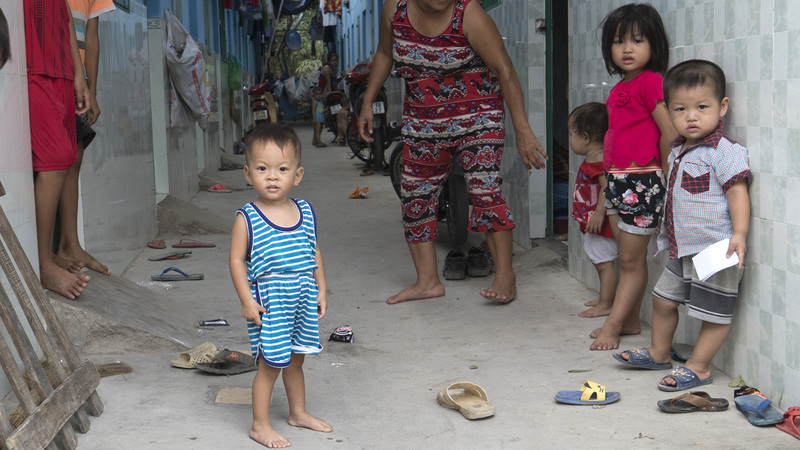 They live in tenements on the outskirts of the park, and are hard pressed to find day care for their children, 7,500 under the age of six in this industrial park alone. 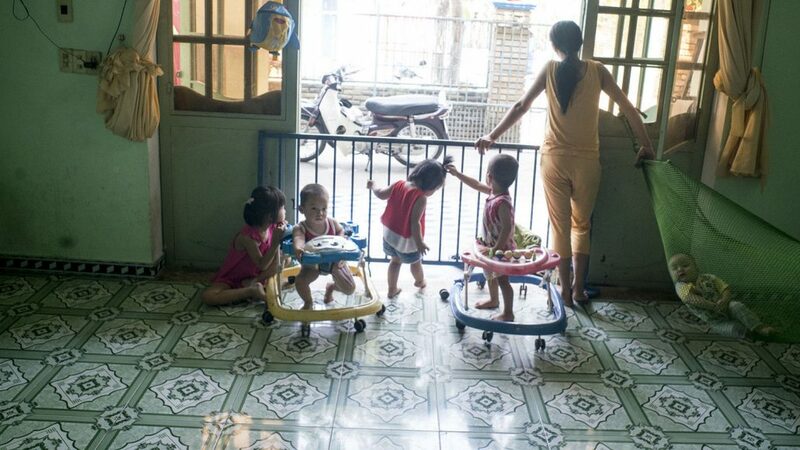 To fill the desperate need for childcare, unlicensed day care businesses have sprung up in homes and store fronts, managed by untrained people, where children like a little boy named Minh, not quite three, while away their days without stimulation or playthings. He is a darling child, but he seems to have forgotten how to smile. In the worst centers, some of the younger children sit immobilized in plastic buckets all day long. Their parents have no other choice. 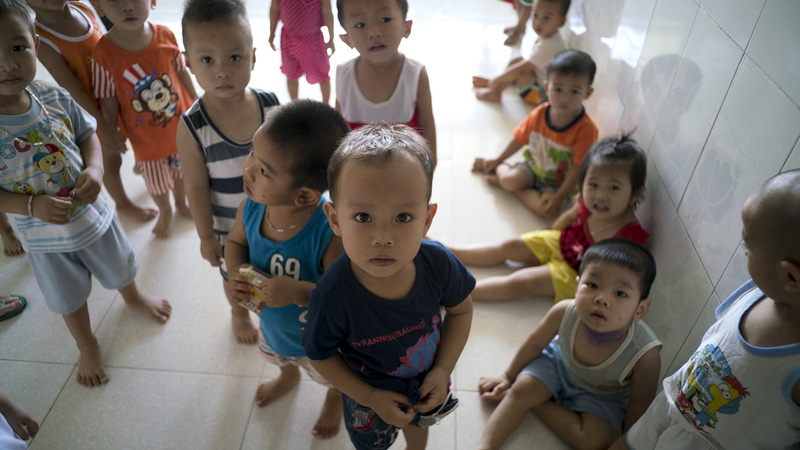 As Vietnam develops, its industrial zones swell with millions of migrants looking for work. 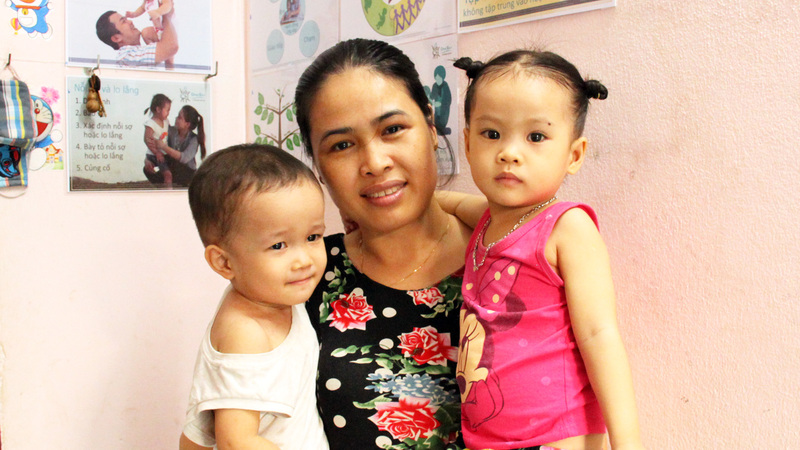 For the “lucky ones” like Minh, not left behind in his village, the need for better care could not be more desperately clear. 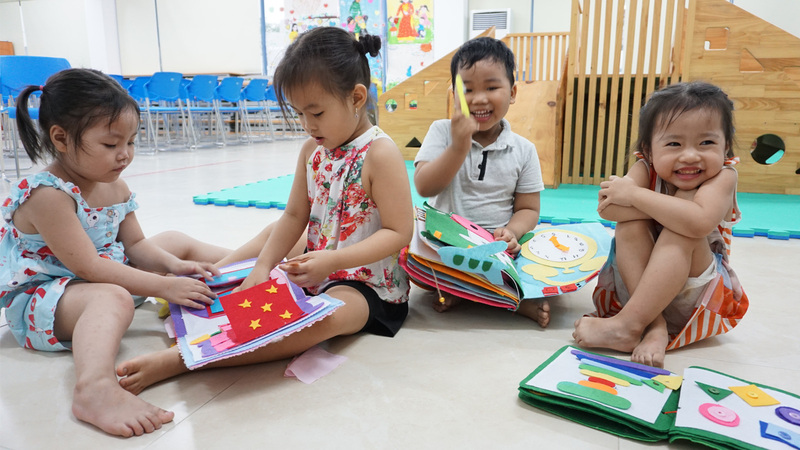 For children under three, there’s no public childcare, and kindergarten fees are steep, too high for most workers to afford, forcing them to use the home-based day care centers. Some of the proprietors are doing the best they can, given no training and few resources, but others have been the subject of investigations and news stories, exposing serious abuse and quiet tragedies. 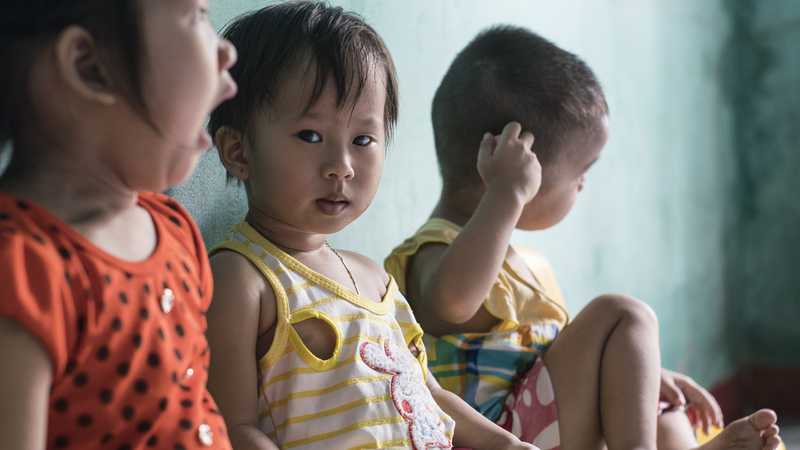 When the OneSky team walked into Da Nang’s factory zone, they knew they’d found a good place to begin to help. 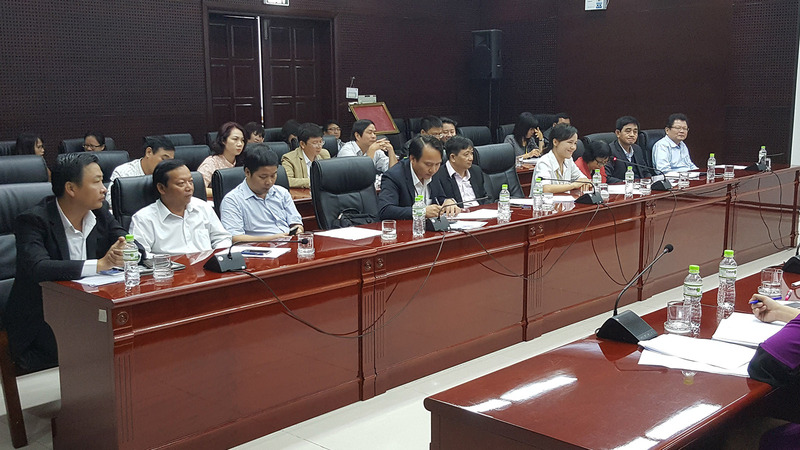 In April of 2016 OneSky and Vietnamese officials signed a Memorandum of Agreement, setting the project in motion. 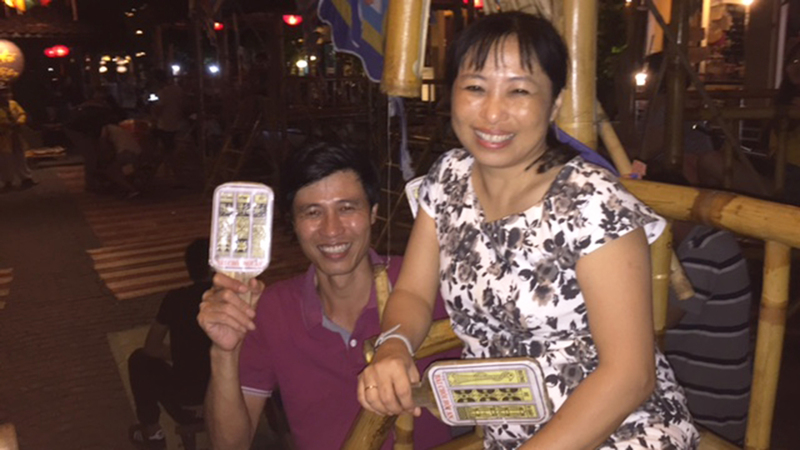 That’s when the detailed work began for Carol and her tiny team of two local colleagues: Phan Minh Tan and Vo Thi Hien. “Thank goodness I have them at my back,” she said. We needed permissions on top of permissions, every step of the way. I would have been helpless without them. Every time we wanted someone to review something that may or may not be necessary, we had to write it down on letterhead, get it stamped, then it had to go to all kinds of people for signatures,” says Carol. Just to break ground, the project required more than 100 signatures. Carol was undaunted. After working with Half the Sky (now OneSky) almost from the start, she’s used to solving problems, overcoming obstacles, and getting things done—no matter what. She is as comfortable soothing crying babies as she is persuading balky officials to do the right thing for the children. Still, Vietnam presented a whole new set of requirements. 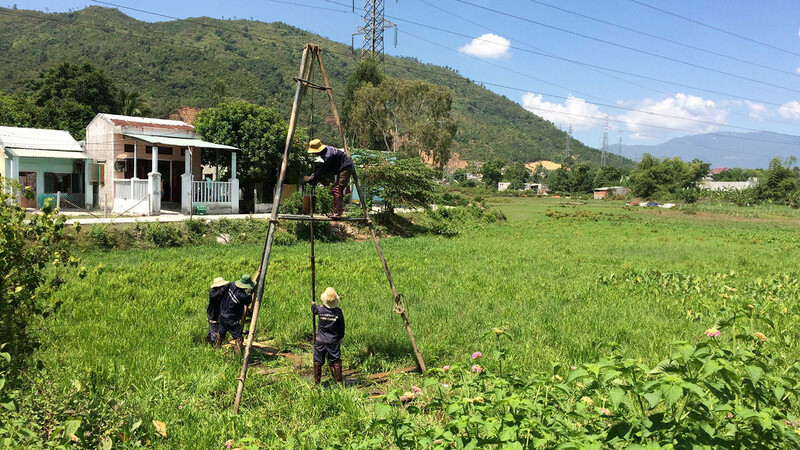 Carol made nearly a dozen trips to Da Nang, negotiating hundreds and hundreds of details with local authorities, all necessary before that first bit of ground could be broken. The pace was stop and go. Elation, then disappointment. Just when she thought the last paper had been signed, stamped, and filed, another was needed. On and on it went. Details, details, and more details. On top of that, everything had to be translated from English to Vietnamese and back again. Days, weeks, and months rolled by. Another paper, another signature, another stamp, almost there, then another delay. On December 5, at long last, OneSky got the word: Approval! Final approval! Carol held her breath, and boarded a plane once more, for Da Nang. 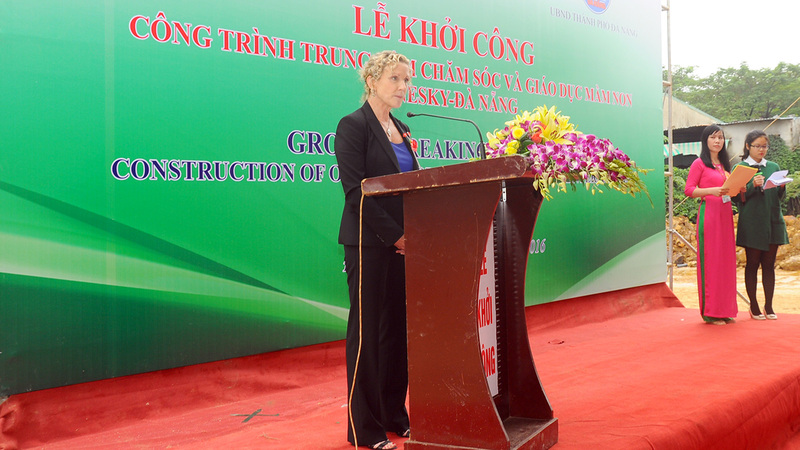 There, just four days later, she gave a small speech at an official groundbreaking ceremony. And then it was over.